"Who has ever returned from the other world to inform us of it?" 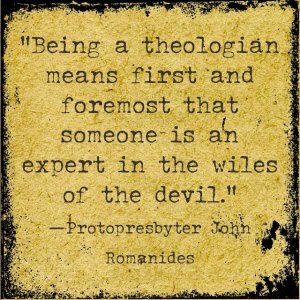 Thus the unbelievers ask. One should reply to them: "Repent of your sins if you wish to find out; make yourselves worthy and you will see." For St. Habakkuk (Dec. 2) traveled with an angel, and St. Myrope (Dec. 2) saw a host of angels and among them the martyr, St. Isidore. 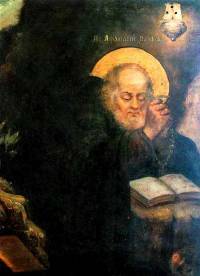 St. Athanasius of the Kiev Caves (Dec. 2) was dead to this world for two days and alive only in the other world. Upon the return of his soul to his body, they gathered around him and asked him: "How did you return to life? What did you see? What did you hear?" He would say nothing about it, being totally in horror at that which he had seen in the other world, and would only say: "Save yourselves!" When they pressured him to tell a little more of what he had seen in the other world after death, he replied: "Even if I should tell you, you would not believe me or listen to me." When they urged him yet further, however, he said among other things: "Repent every moment and pray to the Lord Jesus Christ and to His Most Pure Mother." Even in our own time, there are cases of those who have temporarily died, and the visions and accounts of those who have returned to life in the body do not contradict but rather complement one another. For example, every person who dies sees one part of that other world that is vast and incomparably larger than this world. Many people, at death, see their long-dead relatives and speak with them. This is almost a common occurrence. In 1926, in the village of Vevèani, Meletije P. was on his deathbed. He spoke with his children, who had died twenty years earlier. When his living relatives said to him, "You're rambling!" he replied, "I am not rambling, but rather I am speaking with them as I am speaking with you, and I see them as I see you."